The Chevy Silverado 1500 is probably one of the most successful GM-built vehicles in history. Several variants of this pickup have been built. Some have more power, some have more legroom and some have diesel engines inside. The driving force behind the 1500 is the 5.3L engine. This Generation III Vortec engine is a powerful V8 that is clearly responsible for the high torque and fuel economy of the Silverado. As a work truck or general use vehicle, Chevy owners respect the engine inside of the 1500. This is one reason why we carry Chevy Silverado 1500 5.3L engines for sale in our warehouse inventory. 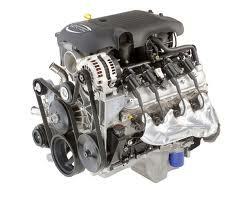 It is hard to find Chevy engines like this anywhere on the Internet for the same price that we put on our engines. We are passionate about the engines that we offer. We sell both used and remanufactured engines to our customers that rely on our cost saving approach to engine excellence. We could sell for a lot more than what we do but we don’t. We have found a price tag that works for us and for our customers. Each of our V8 engines are priced the same if they are used or remanufactured. We don’t have one model for one price and the same model purchased 6 months earlier for less. Our pricing is consistent and current at all times. We are professionals and committed to the remanufactured and used engine industry. OEM actually means two things when you buy our engines. It means that our used engines that are evaluated and then sold are true OEM versions. There are no replacements or additions made that are not genuine parts. The term OEM also applies to the parts exchanged on rebuilt engines. Our GM performance parts are placed professionally onto each rebuilt engine to make certain it’s true Chevrolet quality. No foreign aftermarket parts are used for any rebuild inside of our facility. Our customers expect to buy a true GM engine and that’s the only thing that we sell to them. Since we employ complete experts, nothing in our inventory is sub-par and nothing is shipped out that is not double checked for accuracy. The way that we store our V6 engines, the way that they are handled and the speed in which we deliver them are all contributors to our success. We don’t forget about our customers when the batch funds from processing orders hit our bank account. We include a warranty with all of our Silverado engines as an added bonus for no charge. Every 5.3L Gen III engine includes the coverage even though each of our engines are in perfect condition. Our quote system is simple and easy to understand at www.carenginesforsale.com. Give us a quick call at 1-877-630-3873 and we don’t waste time providing our low Chevy price. We are true professionals and hand out hundreds of quotes a day. We use a Silverado 1500 quote form on this very page to do what we also do over the phone. It’s really quick and will not cost you a penny.